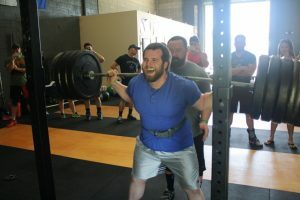 ….at the gym, Bob starts talking to you about this great new keto diet he is doing. At first blush, that sounds fun for awhile. Then as Bob yammers on further, you start to see a few cracks in this new diet. Hmmmm, that sounds quite fragile to me and not very robust. Keep in mind, that Bob is a health doooode bro that lifts 4 days per week for 60 min and does some fasted cardio in the AM 3 days per week. If you are afraid of freaking blueberries, your metabolism is not very robust, and it is time to rethink this process. Out of all the foods to worry about, blueberries are at the bottom of the list. If you are fragile, you have to be super careful about everything you eat and the options you can pick from are very small. To be clear, I am NOT talking about some people who have to avoid certain foods due to allergies, temporary gut issues they are working on, or frank pathologies. I’m talking about strong bros /bro-etts who CHOSE to do a diet that is inherently very restrictive believing it is the best / healthiest choice for them when they are healthy. I don’t believe that is the best option at all. Optionality is where it is at for health. When you reduce dietary inputs and have to keep them within a very tight range to function, that is not healthy as it reduces metabolic flexibility. You will get “locked in” to those parameters over time. When your metabolism is more robust, your body can buffer large changes in glucose by sucking it up in liver and muscle in addition to burning it as fuel. A robust metabolism basically equals being very metabolically flexible. Your wider variety of dietary inputs don’t send your homeostatic mechanism off the deep end – which you can look at via continuous glucose monitoring, fasting blood glucose, performance fasted vs fed, glyocmark and other measures. This is the real fun now. Something that is robust can handle many insults. Think of your favorite Tupperware you keep your food in (BPA free, of course). You can drop it, and it will keep the same shape. It is very robust. If it was glass, a big enough impact would reduce it to recycling material. There is one more stop beyond robust which is antifragile. The goal of your metabolism is to be antifragile, and we can use metabolic flexibility as the framework. Decide to stop eating and do a long fast since it is in vogue now? Cool. Your body switches to upregulate the use of fats. 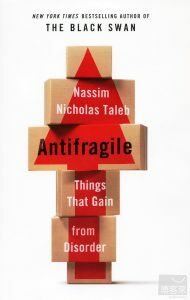 The stressor (fasting) when done correctly does not just make you more robust, you are more antifragile. – Your capacity to use fat as a fuel is a bit higher now than it was before. EAT 2 POPTARTS FOR BREAKFAST? Your body switches to using carbs and burns a bunch of it for fuel and then stores some as glycogen. The enzymes involved in this reaction are upregulated as more carbs are introduced (up to a point of course). If you don’t exercise and your main movement is scratching your nutsack as you paw at the remote . . . and then opt to remove all carbs from your diet. The result? You will get better in the regulation of fat as a fuel, but the amount of dietary inputs you can now handle just got as narrow as the space between cars passing each other in Costa Rica. While you are technically moving towards better (and I commend you for your efforts), you better be darn compliant on those inputs or all hell is going to break loose, and you may find yourself face down in a birthday cake in a mesolimbic dopamine dominant poo show. If you are a healthy person and you want to severely limit your dietary inputs (which can be very beneficial), what is the cost long-term? How well can you stay compliant with it? If you find it easy and decide to live your life that way – awesome. I applaud you. If you don’t feel you can do that nor want to do that, I would suggest a different approach. Spend time to expand your capacity and not just only limit inputs. Increase your metabolic flexibility to be more antifragile so that you are better able to operate in a world full of optionality . . . A world where the occasional carb-fueled meal is not a metabolic nightmare sending you to puncture the other 3 tires of your metabolism. The choice is yours. Pass me the poptarts.